Have you heard the news? 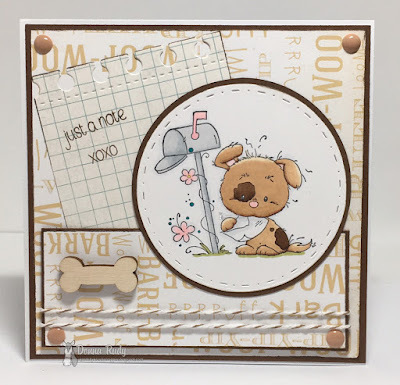 Whimsy Stamps is bringing back their monthly challenge! How cool is that!?! When you take part in the challenge there is a chance to win a prize! This month's challenge is Anything Goes - with an optional twist of Easter. 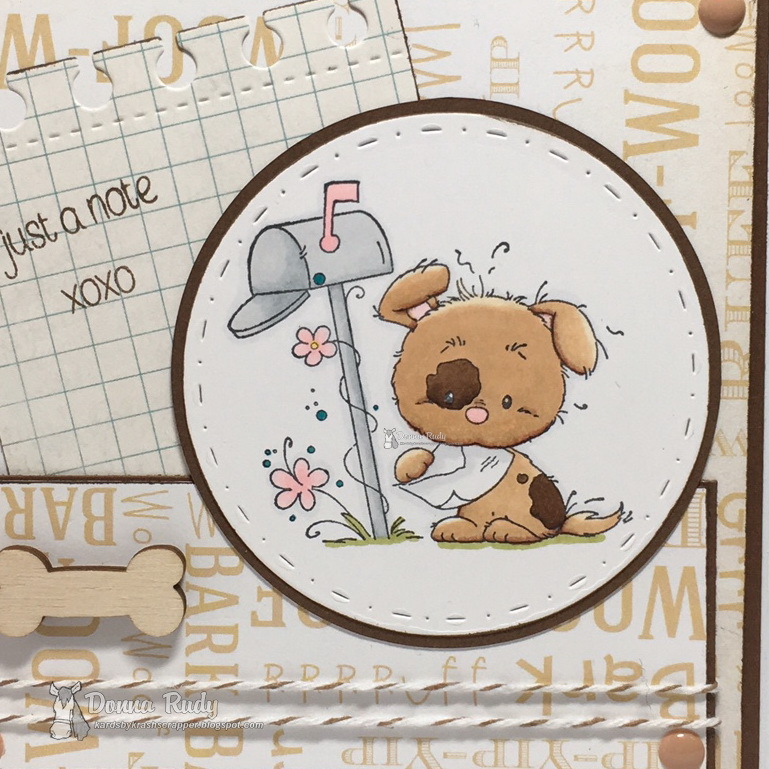 You can choose to play along with the twist or not it's totally up to you and can use and Whimsy stamp that you like to play along. 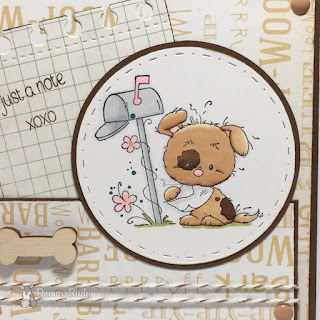 My inspiration post features "Naughty Puppies" and a sentiment from the "Everyday Mini Sentiments" (links below). I started by colouring my stamp with alcohol markers and cutting it out with a stitching marks and piercing marks die. I added this cutie to patterned paper from Bo Bunny and Echo Park - all of the edges were inked with Distress ink. The sentiments were stamped and a bone, some twine and enamel dots finish off my card. Have you got your stamps out yet? Here is the link to come play along! How did I miss this today LOL! Love this adorable puppy! That paper is perfect too!